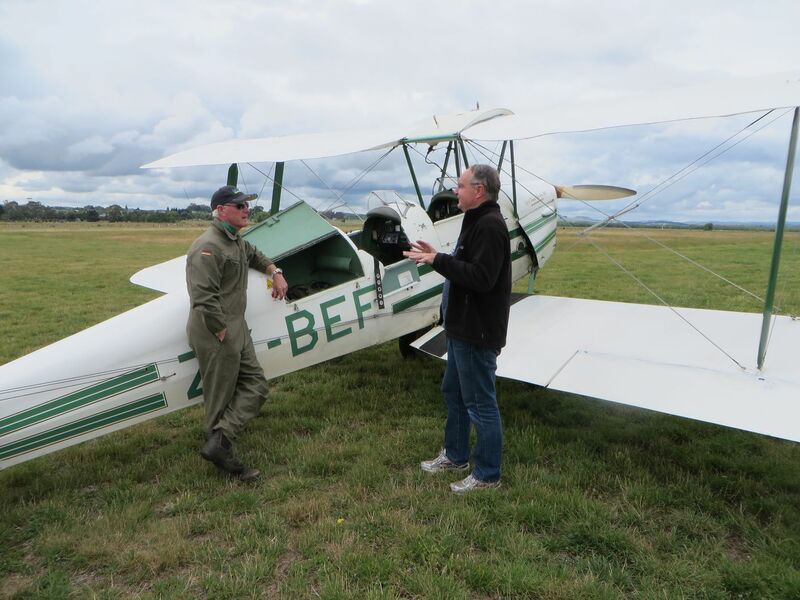 Drove over to Waipukurau airfield for a Tiger Moth lesson. Wind was pretty calm unlike our previous lesson when it was on the crosswind limits. Noel went up with Ross first. After 10-15 mins he was given a PFL which meant only one thing – if the subsequent circuit or two went well he might be going solo shortly. Sure enough, after a couple more circuits they taxied in and Ross jumped out. Obviously only because he was too petrified to cope with Noel’s landings any more… 😉 and Noel did 4 circuits solo before taxiing in and nicely swinging round to park facing the taxiway ready for the next pilot. Talk about coincidences though – while Noel was doing his solo circuits Ross came out with a mug of coffee in a WLAC mug! West London Aero Club at White Waltham is the flying club Noel and I belong to in the UK. 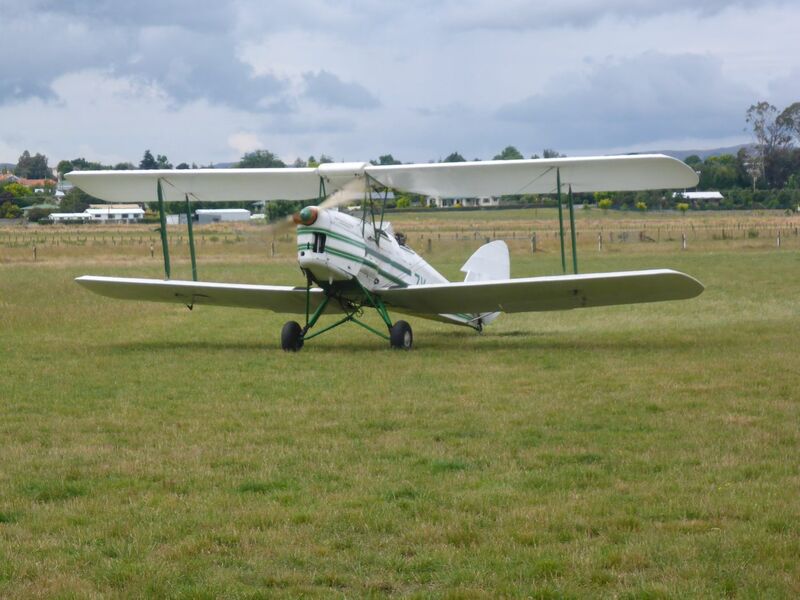 It turned out that Ross had been there in 2003 and flown in a Tiger Moth with another UK pilot. 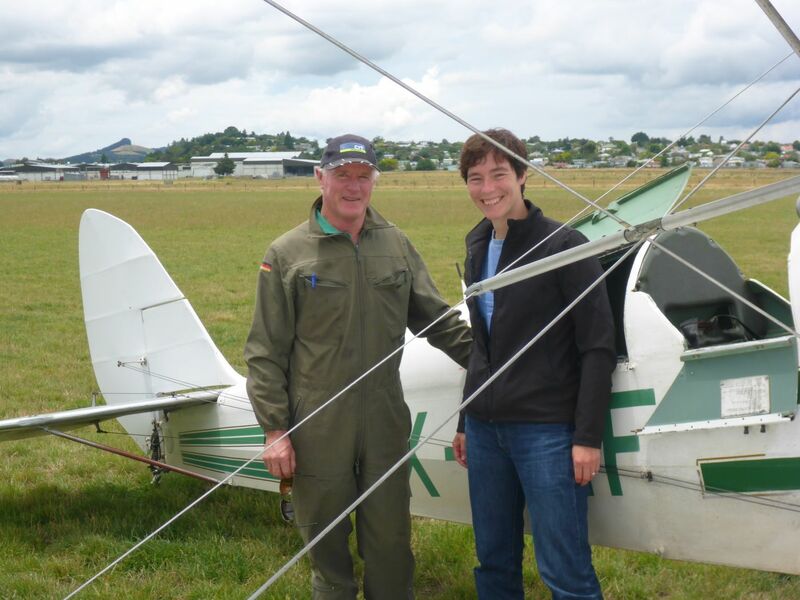 Here’s a very happy newly-solo Tiger Moth pilot with our excellent instructor, Ross. 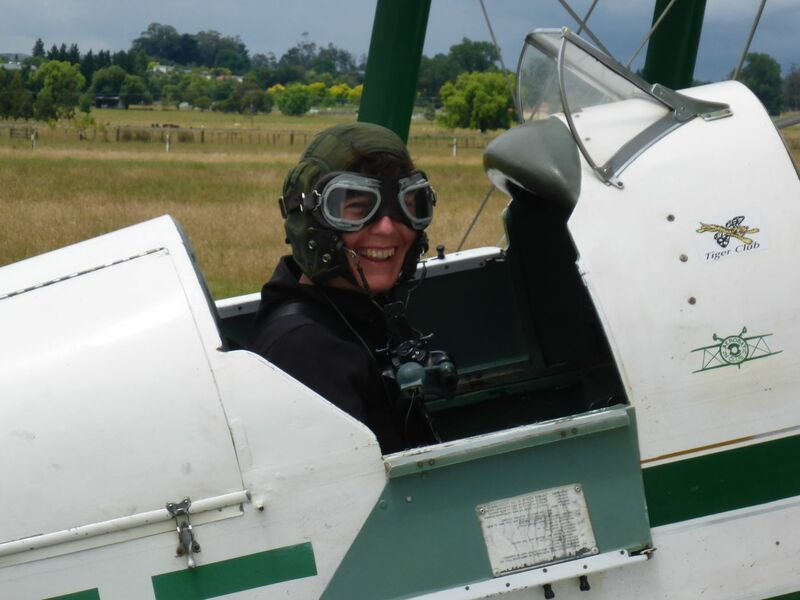 This is me taxying off for my first solo flight in a Tiger Moth. Me taxying back in after completing 4 circuits solo. The undercarriage survived….or has the picture been photoshopped…? Me with Ross after the solo. On the way back we stopped at a café at Te Aute for lunch and a stroke of their friendly ginger moggy and texted Jan Chisum to let her know of the successful flying and thank her for introducing us to Ross. She invited us to call in on her at Bridge Pa our way back to Napier so we did. It turned out she had visitors, Martin Burdan and his wife Nicky. 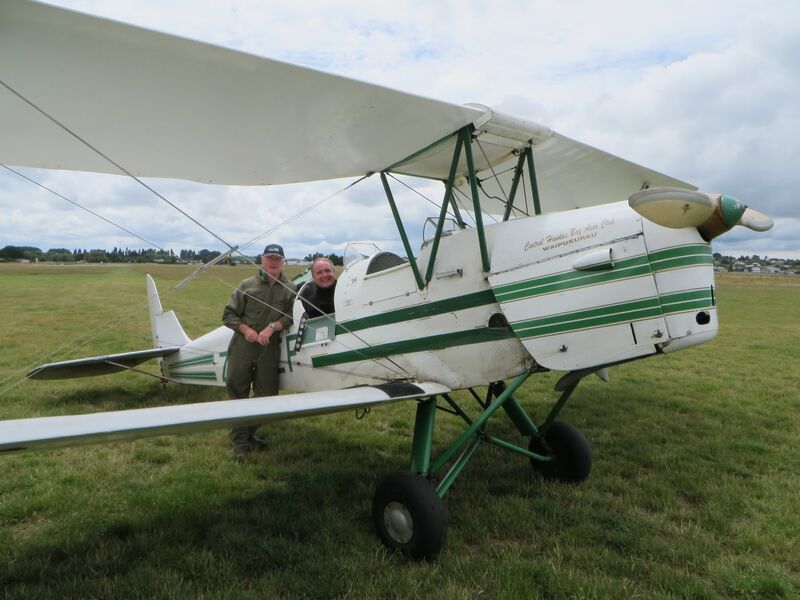 The significance of this is that we had been reading articles prior to our Tiger Moth lessons which were written by Martin some years ago giving excellent advice on handling a Tiger Moth. 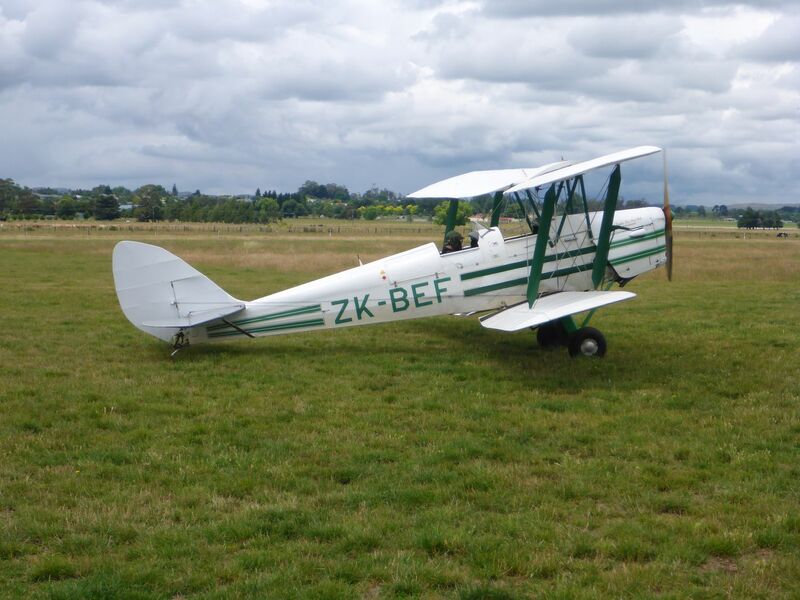 Type Conversion Syllabus, Taking off and Landing in a Tiger Moth. 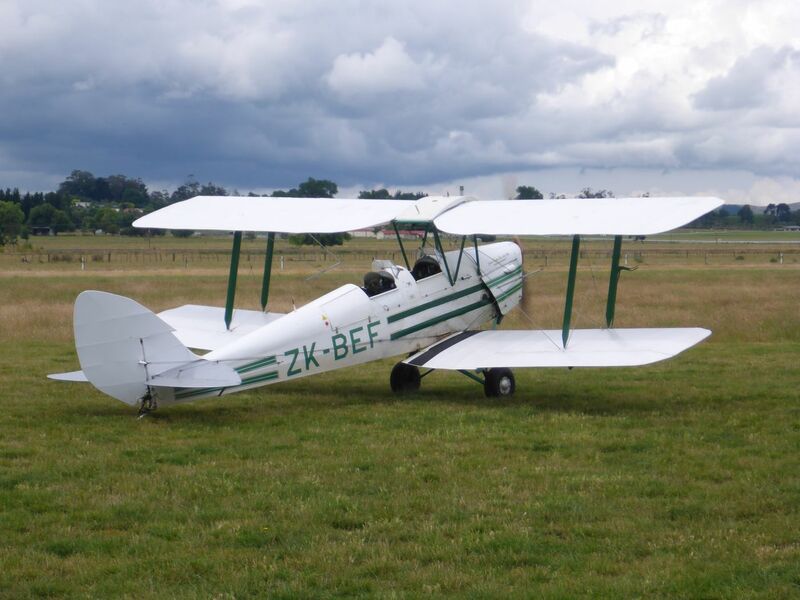 In fact there are some useful articles on the Tiger Moth Club of NZ‘s website. He also happened to be the pilot who flew Noel’s Dad, Max, in a Tiger Moth for Max’s 80th birthday 10 years ago! Jan kindly supplied us with a coffee before we moved onto some celebratory bubbles and then wine and nibbles. It was a very pleasant afternoon and we could easily have stayed until late but we eventually left and visited Max to tell him how we’d got on. The current plan is to go back to Waipukurau tomorrow morning for both of us to get an hour’s further solo time under our belts. Not sure what the weather is doing so we’ll see in the morning.